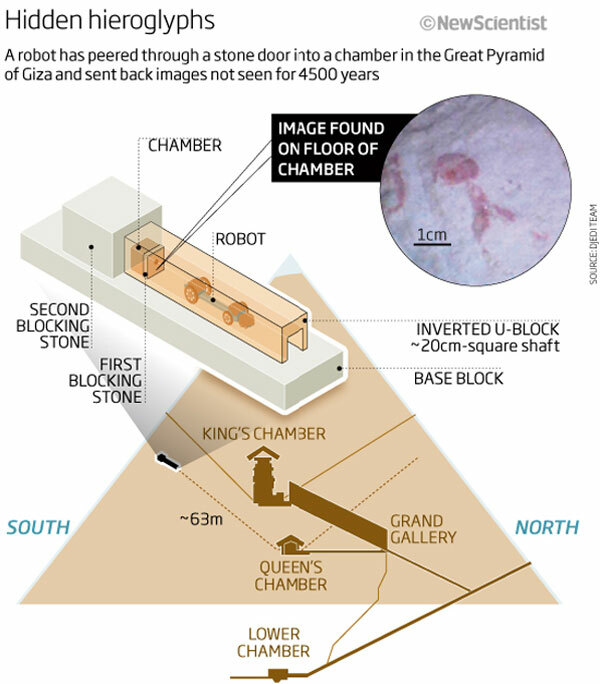 Home » archaeology , egypt , history , robots , science » Exciting times for Egyptian archaeology! Exciting times for Egyptian archaeology! Meanwhile, archaeologists at the Great Pyramid outside of Cairo are using a tiny robotic probe to get the first look at the inside of a newly-found chamber within the mighty ancient wonder. Among the images that haven't been seen in 4,500 years: red-colored graffiti that might have been left by workers building the pyramid. There is also evidence that the door to a whole new secret room has been discovered.